Teena Rose, author of "Start Your Resume Writing Business: The Ultimate Resource for Building a $100,000 Resume-Writing Business" is looking for resume writers to interview for her blog, Start, Operate, Profit! Resume Writing Business. 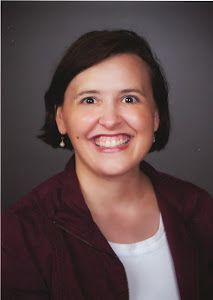 If you are interested in being profiled (look her for her new interview with Robyn Feldberg), contact Teena at teena(at)resumetoreferral.com (replace the (at) with an @ sign). The U.S. Department of Labor released its most recent statistics on unemployment today, and the findings show that while unemployment has stabilized over the past 3-4 weeks (meaning there aren't as many newly unemployed), those who are currently out of work are taking longer to find new jobs. The number of U.S. workers filing new claims for unemployment fell 12,000 last week -- initial claims for state unemployment benefits declined to a seasonally adjusted 631,000 in the week ended May 16 -- but the number of people still receiving benefits after drawing an initial week of aid increased by 75,000, to 6.6 million. What does this mean for resume writers? In simple terms, a need to continue to encourage clients to persevere in their search. There are certainly jobs out there, but clients will have to work harder (using their network and following up) to identify and secure positions. Making a point to emphasize a holistic approach to the search -- not just developing and distributing the resume (the equivalent of giving the job searcher a fish, rather than teaching him or her to fish). One of the things we ask of subscribers to the free Resume Writers Digest newsletter is that they participate in our periodic surveys. Previous surveys have focused on subcontracting, "Write Great Resumes Faster," conference attendance, and our annual "Industry Survey." Our latest request for your participation -- a question for resume writers OR career coaches -- is: "What question(s) do you ask your clients?" I'm trying to identify 10 "key" questions. Can you help? Take a minute to fill out the survey -- or e-mail me your questions/questionnaire at rwdigest@aol.com. 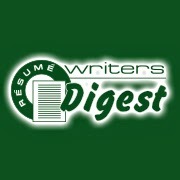 The results of the survey will be the basis for an article in the next issue of Resume Writers' Digest. The responses I've gotten so far are FABULOUS! Keep them coming! Yesterday, I wrote about my analysis of how many resume writing firms I believe are out there. I thought I'd share some further data about how I think commercial list compilers are under-reporting the actual number of resume writers out there. In my case, I live in Nebraska. Although I wasn't able to see WHICH four firms were listed, I was able to analyze them by city/county, and none of them were listed for Omaha, which is the largest city in the state. Just looking in one of my local phone books (Dex Yellow Pages), I identified five firms (in addition to my own). One of these is a recruiting firm with a resume writer on staff; the others are sole proprietorships. Interestingly, one of my oldest firms in the city isn't currently listed, so that's at least one more writer that isn't being counted. I received an e-mail today from a professional resume writer who was wondering if I knew how many professional resume writers there are out there. Because we conduct an annual Industry Survey, I think I've got a pretty good handle on this. I'll share the results that I gave to her. My research shows that there are approximately 4,000 to 6,000 resume writers in the U.S. But some of those are career counselors who write resumes only occasionally (or who "consult" on resume writing, but don't write them themselves). Some of those are secretarial and typing services that "do" resumes, but don't necessarily focus on the craft of writing as heavily. Many people trying to get a handle on the industry just look at the number of resume writers who are listed under "Resume Writing" in the Yellow Pages (SIC Code 73380101 = "Resume Writing Service"), but this is under-reported, according to my analysis. Also, there is no measurement of what a "bona-fide" resume writer actually is. Do they write 1 resume a week, or 10? Are only certified resume writers counted (not the way I count them!). Do they have to actually WRITE resumes, or can they provide feedback to clients to help them write their own documents (I count both). One analysis of a commercial mailing list targeting Resume Writing Services found 1012 listings. I didn't find their sales data to be believable, so I won't share that information. Because this list was likely compiled from Yellow Pages listings, keep in mind that not all bona-fide resume writers in an area advertise in the Yellow Pages -- and that more established businesses are more likely to advertise than new resume writers. Do You Work with Salespeople? If you write resumes for those in sales or sales management, you might want to direct them to the Selling Power 500 -- a listing of the organizations that employ more than 500 sales professionals. It's updated annually and published by Selling Power magazine. Interested in writing better resumes faster? Me too! Here are some more tips to help you "Write Great Resumes Faster" -- and be sure to buy the 60+page Special Report (just $14!) with even more tips, techniques, and especially the Quick Reference Guides (with hundreds of accomplishment-stimulating verbs, profile descriptors, section headers, and more). Walk away from the project and start over again after a while. Take a 20-minute cat nap. Do something physically or mentally stimulating, and come back when you're refreshed. Search websites for sample postings. These will give you suggestions as to how to approach the project at hand. Look at past resumes you've written, or glance at books in your library -- especially in the field in question. Talk to your colleagues -- post on an E-List asking for ideas or help. Google sites for specific industries to use proper jargon and verbiage. "Inspiration comes from going over my notes and reminding myself what the client needs to say (what I need to say for them) to demonstrate their strengths." Review your own past work for inspiration in formatting or wording ideas. "I like classical music. I like the relaxing tones without the words to fill my head."